Saving the World One Nail at a Time: Cooooooookies! So I was having a sugar craving. They come on suddenly, I can't help it. I decided to get creative and healthy by painting some cookies instead of eating them! For this look I used Color Club Look, Don't Tusk from the new Safari Garden spring collection. 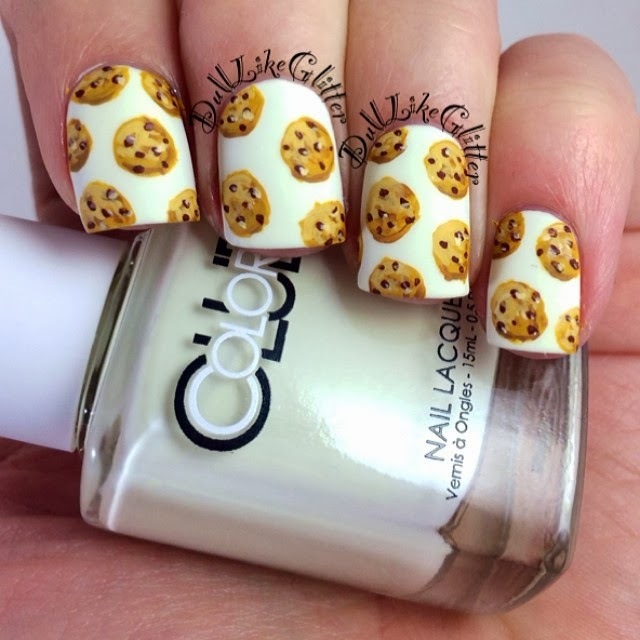 The cookies are hand painted and they're topped off with Butter London's Matte Finish Top Coat. 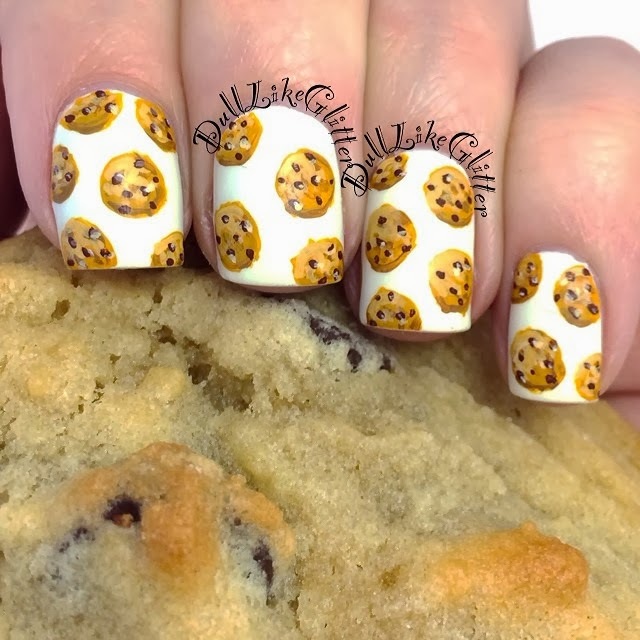 Of course, my cookie nails just made me more hungry and I ended up baking a whole batch from scratch with dark chocolate chips so I could "do a photo shoot with my nails".....and eat a bunch. Oops!